We offer premium bedding solutions to bring more sophistication and warmth to millions of people around the world. More importantly, our mission is not only to provide the sweetest, most comfortable and most comfortable home on the market, but also to build the house of your dreams "More than comfort"! Perfect for living room, bedroom, dining room, children's playroom, children's bedroom, home office, chair cushion, sofa cushion, valentinesday gift, mother's day gift,children's birthday gift, father's day gift, ect. The price is only for the pillowcase, without inner pads. Due to the light brigthness, the real color may have a little difference with the picture. In order to keep the color fresh, you can use some salt to wash water for your first. Please allow small errors due to manual measurement. Color may vary on different monitors, so the picture may not exactly reflect the color of the item. 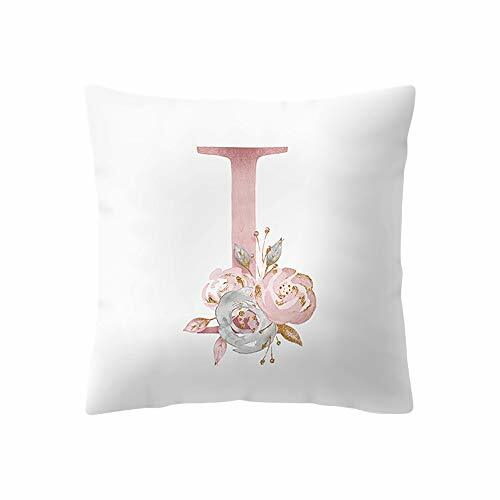 The beautifully soft cushion cover brings a warm and elegant touch to the first touch. A zipper in the same color as the back cushion cover will maximize the smoothness of the zipper process. Thanks to the delicate edging made on our cushion cover, a perfect finishing touch to your winter fashion. This chic and elegant pillowcase will refresh your furniture, such as sofas, sofas or armchairs.